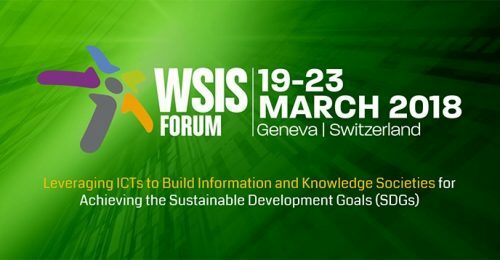 From 19 to 23 March 2018 in Geneva, Switzerland, UNESCO will co-host the World Summit on the Information Society (WSIS) Forum, the world’s largest annual gathering of the ICT for development community. This major event provides an opportunity for information exchange and networking, knowledge creation and sharing of best practices, while identifying emerging trends and fostering partnerships. 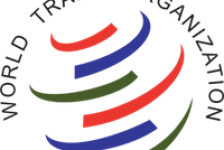 This year’s Forum, convened around the theme “Leveraging ICTs to Build Information and Knowledge Societies for Achieving the Sustainable Development Goals (SDGs),” will ensure a global multi-stakeholder platform to facilitate the implementation of the WSIS Action Lines for advancing sustainable development. With 4 billion Internet users and 7.5 billion mobile phone users, the Internet and the digital revolution is impacting all spheres of public and private life, including crucial issues related to access to information and knowledge. The ICT revolution is changing lives and livelihoods, and has been recognized as an important tool to accelerate the pace of achieving SDGs. As the UN Agency with a mandate to promote the free flow of ideas by word and image and to uphold freedom of expression, UNESCO works to consolidate inclusive knowledge societies and empower local communities by increasing access to and preservation and sharing of information and knowledge in all of UNESCO’s domains of action and fields of competence. As the main organizing partner of WSIS in partnership with the ITU, UNESCO is the facilitator for six action lines of the WSIS implementation process, and will be bringing together stakeholders in the framework of one high-level session and 4 action line sessions at the forum. 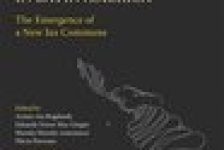 The Deputy Director-General of UNESCO, Mr Getachew Engida, will attend and address the Forum on behalf of the Director-General of UNESCO, Ms Audrey Azoulay. Building on the consultation that UNESCO conducted on defining the Internet Universality Indicators at the WSIS Forum in 2017, this high-level session hosted by UNESCO on March 21st will present the first draft Internet universality indicators. These indicators are a comprehensive tool to help Member States and all relevant stakeholders to measure Internet policies in support of achieving the SDGs at the national level. They can also serve as a recognized global research tool in assessing Internet developments. A panel of high-level speakers will share their views on the project and on how the indicators could play a valuable role to map Internet and contribute to evidence-based policy improvements at national level. On March 19th UNESCO will participate in the ESCWA (Economic and Social Commission for Western Asia) Arab Inter-Regional Consultation meeting on “Digital technologies for Sustainable Development 2030 and related regional processes.” The objective of this consultation is to exchange experiences in view of the organization of an Arab Regional WSIS Forum in 2019. UNESCO will contribute with its experiences in implementing the six WSIS Action Lines under its responsibility and identify areas in which this work could be further reinforced in the Arab region. This session, hosted by UNESCO on March 19th, will evaluate recent progress across WSIS Action lines C3 (Access to information and knowledge), C4 (Capacity building), and C7 (ICT Applications: E-environment and E-science). Building on the experience of many worldwide initiatives such as UNESCO’s YouthMobile Initiative that introduces young people to computer science programming (learning-to-code) and problem solving (coding-to-learn), the session will highlight policies and programmes that encourage youth involvement in ICTs. The session will also review approaches to improve access to multilingual information as well as strategies to develop youth-sensitive content and youth-focused learning tools. It will end its work with a set of recommendations for action. This session, hosted by UNESCO on March 22nd, will examine elements from the Ljubljana OER Action Plan adopted at the 2nd World OER Congress 2017 and its contribution to a UNESCO OER Recommendation that will be developed in the 2018/2019 period. Specifically, this session will examine the five action areas of the Ljubljana OER Action Plan and their potential contribution to a UNESCO Recommendation in this area, and invite stakeholders, following an online consultation, to provide feedback on the development of such Recommendation that will guide OER policy at the global level.